To me, laughter cuts through the layers of pretense and gets to the heart of who I am - quirkiness and all. To me quirky is an inherent part of ones personality – it’s that unconventional or surprising element of your persona, something that sets you apart and makes you wonderfully unique. I love quirkiness. Most especially I love discovering other people’s quirky habits, sense of humor or ideas. It’s refreshing to meet someone who embraces their uniqueness. And I think I’m magnetically drawn to those kinds of people, the ones who aren’t afraid of being who they are – quirks and all. I find my mojo by spending time alone and also by being with the ones I love. It’s a bit of a paradox. I love alone time – to recharge my battery, get back to center, breathe and relax. If I’m alone and in a bath tub, all the better! But lately I’ve also realized that being with “my people” also fuels my fire. I thrive on being inspired by other people’s stories. It leaves me feeling creatively lit up, like I’m a part of a community and interestingly more connected to myself. 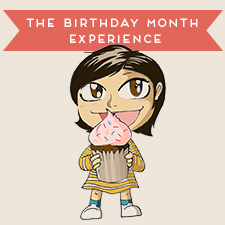 About five years ago I decided to celebrate my entire birthday month. The goal was to do one thing every single day to celebrate me. I wanted to honor the day I was brought into the world AND feel excited about turning another year older. So many people are rather apathetic about birthdays, which always makes me sad. If the day you were brought into the world isn’t a reason to celebrate, I don’t know what is! Personally I’ve found that by taking a different approach, and celebrating for the entire month leading up to my big day, I’m left feeling gratitude, hope and loads more self-compassion. It sounds simple, but I find it’s often the simple things that really change our lives. Your home: Pommes Frites Candles, the scents are divine (plus they’re small batch, artisanal and made in LA)! Your body: I’m always looking for new and fun ways to move my body. I’m not very athletic by nature (an understatement), but I’ve grown to love doing Shrink Sessions with Erin Stutland. It’s simple, yet powerful movement combine with positive affirmations. Your belly: Soul Food Farm is located just outside of Los Angeles and I’m itching to visit. I love their philosophy and holistic approach to farming. I’m super excited about their farms eggs, which I hear are quite delicious. Your soul: A 5-minute (or less) morning meditation. This isn’t revolutionary stuff but I’ve been consistently sitting briefly in silence for the last two weeks and I have to say that something is shifting – on a cellular level I feel more calm, more joyful and less stressed. I don’t know how or why it works, but it does. Music: She’s by no means a recent discovery to many, but I recently started listening to the beautiful Amel Larrieux and I’m smitten. 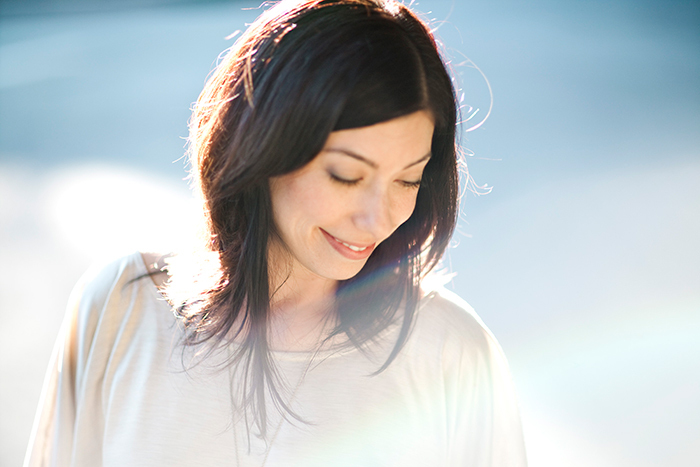 Her voice + lyrics = oh so soulfully good! Writing: I’ve had Mark Nepo’s The Book of Awakening for more than two years. It collected dust on my bookshelf until recently when I decided to follow along with his daily passages for the rest of the year. His writing is simple yet stunningly beautiful. Art: Everyone has an artist somewhere inside of them. And I think creating your own art book is one of the coolest gifts you can give (even if just to yourself). Artifact Uprising makes some of the most beautiful photo books I’ve ever seen. Lots and lots of laughter. I’m a big believer in laughing at myself and not taking things too seriously. To me, laughter cuts through the layers of pretense and gets to the heart of who I am – quirkiness and all. Bonus celebratory points if I’m with a group of friends and we’re able to have a giggle fest together. 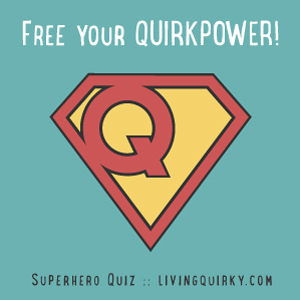 Own your quirkiness! Instead of hiding behind those big glasses or lurking in the background, come out, in all your quirky glory, and show us who you are. By doing this, you’re giving the rest of us permission to own our inner quirkster as well. We’re waiting and we need you! About: Stephanie is an LA based lifestyle guide + mentor + writer + filmmaker + creator of The Birthday Month Experience, a NEW kind of birthday adventure. She is a multi-passionate, multi-talented entrepreneur who has a fondness for hot cocoa, rock ‘n roll, Eric Ripert, The Goonies and obscure fashion magazines. Over at her digital inspiration gallery, The Girl Who Knows, she muses on life, love, beauty and who makes the best body balms (for the record it’s these).